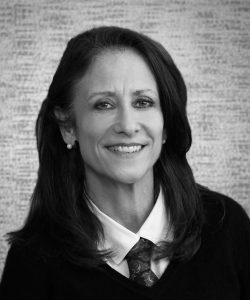 Joan Kaufman received her Ph.D. in Clinical Psychology from Yale University where she served on faculty in the Department of Psychiatry from 1998-2015. In 2015 she was recruited to Baltimore to serve as Director of Research at the Center for Child and Family Traumatic Stress at Kennedy Krieger Institute. She also holds an appointment as a Professor of Psychiatry at Johns Hopkins School of Medicine. Dr. Kaufman’s research is in the area of child abuse and neglect, spans from neurobiology to social policy, and uses tools from psychology, genetics, and neuroscience to understand resilience and mechanisms of disease risk associated with early adversity. She has received extensive funding from the National Institute of Health for her research, has published over 100 peer-reviewed professional articles and book chapters, and authored the book Broken Three Times: A Story of Child Abuse in America (Oxford University Press), which is a narrative non-fiction story that follows one family through the child welfare system, with each chapter providing launching points for discussing state-of-the-art policy, practice, and scientific updates. Dr. Kaufman is a clinician, child advocate, and researcher whose career has been dedicated to work with vulnerable children and their families.